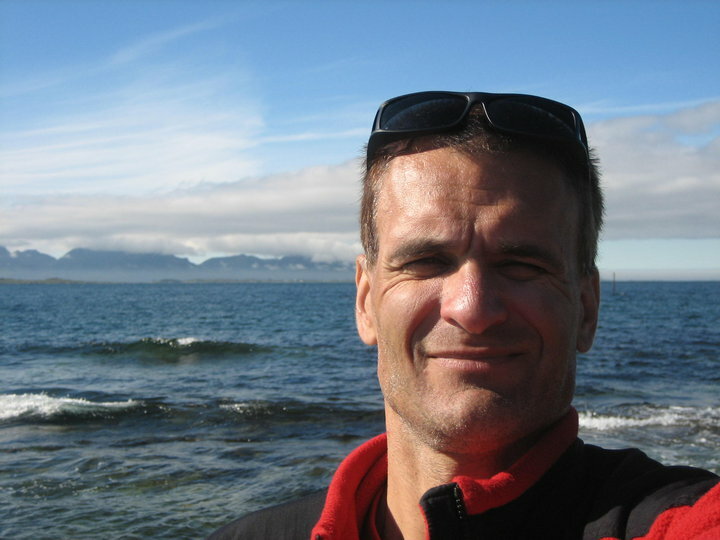 The following guest post is courtesy of Wolfgang Mehl, a highly experienced endurance athlete and aspiring 2015 Appalachian Trail Thru-Hiker. You can get more from his blog at wolfgangsat2015.wordpress.com. So far, my most demanding long distance challenge was doing 100 km (62.2 miles) ultra-running competitions in the end of the 1990’s. My best time was 8h 20m which is still around top 60 in the Austrian all time rankings. In addition, I did some 25 marathon competitions, best time was 2h 54m, but then I suffered from a chronic inflammation of my Achilles tendon and never got back to this level. Later, in 2008 and 2009 I participated in a 120 km Ultra Trail run in the North Swedish Mountains which took around 18 hours and was mentally even more challenging due to spending hours alone. I think it’s amazing that you can do a 100 km run when in training you never complete a distance longer than 30 km. This is clear evidence of just how important the mental factor is. I hope my experience from ultra-running will help me to complete my AT thru-hike planned for 2015. Here are my top mental strategies for keeping motivation high while covering long distances. Always concentrate on the next stage, on the next part of the journey, on the 5-10 kilometers, on what is straightforward and manageable. NEVER, absolutely NEVER think about how far it is to the finish line. Coming back to my ultra-running past, I can say that focusing on the 80 kilometers left when you have only covered 20 km is disastrous. Or imagine having already done a marathon at a reasonable time and still not having reached the halfway mark of your current race- you will quit immediately if you allow such thoughts to happen. Picture crossing the finish line and how it will feel. In fact, one of my best moments in life was crossing the finish line of an ultra-running competition. I imagine that moment the entire time when engaging in long distance challenges, no matter if it’s a competition or an activity on my own, e.g. cycling 320 kilometers (199 miles) to my summer holiday destination. For the last year, I have used photos of Mt. Katahdin as my computer and smartphone background, in addition to a picture in my bedroom. I encourage you to do the same. Be mentally prepared for the worst on your journey. Assure yourself that you’re capable of overcoming the challenges that will occur. Once I completed a marathon where I had open blisters on my feet after the first 6.2 miles (only 20 miles to go!). If you are aware that such things can happen, it’s easier to handle these obstacles. Of course it will hurt and of course it’s 100% ok to curse, but never lose your capacity to either overcome or endure the problem. For the Appalachian Trail, I’m trying to be (mentally!) prepared for snow in the SMNP, two weeks of consecutive cold icy rain immediately after starting from Springer Mt, no hitches the first attempts trying to get to town for resupply or not one single trail magic for hundreds of miles. If it turns out better, more to enjoy! Directly after finishing school, I did a pilgrimage to Mariazell (Austria, 120 km/75 miles from the capital, Vienna) together with one of our teachers and some classmates. When arriving I started calculating that it should be possible to do it within 24 hours. It cost me two failed attempts, but unwavering determination resulted in a successful attempt just two years later. This became my introduction to long distance and endurance activities. Besides, my “equipment” for this first long hike was an old rain jacket, a lighter (for night time orienteering) and some pieces of barm brack in my pockets. I started running in 1992 and after only a few training rounds did I know I had to do a marathon. Only a half year later I completed my first Marathon in spite of less helpful conditions – the temperatures were above 30 degrees Celsius (86 Fahrenheit). For almost 20 years I had the dream to once in my life complete the world’s biggest (16,000 skiers) and most famous Cross Country Skiing competition, the 90 kilometers (56 miles) long Vasaloppet in central Sweden. After moving to Sweden I did it in 2012 in spite of heavy pain in the back. Since having read Bill Bryson’s “A Walk in the Woods” 10 years ago, I feel this call to hike the AT. Of course I´m aware that it´s a long way from running 100 kilometers to finishing the entire AT. Anyway, it´s just managing to do 100 km 35 times☺! I’m Austrian, living in Northern Sweden for the last 6 years, exactly at the Arctic Circle a region many see as “Europe´s Alaska”. 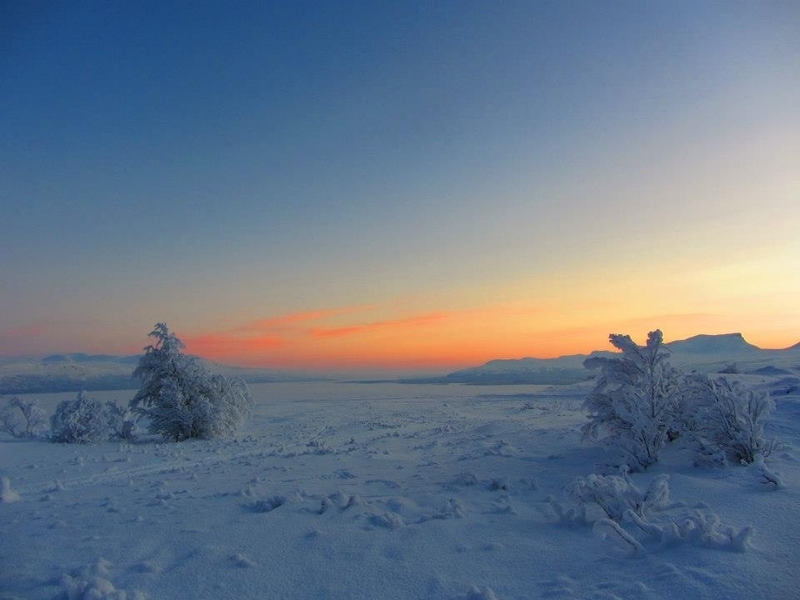 In December and January for some weeks the sun does not rise above the horizon and daylight is limited to about 4 hours. Temperatures temporary go down to below minus 40 degrees Celsius (exactly the same in Fahrenheit: minus 40 ☺). I have been working on Sustainable Development, Renewable Energy and Climate Change issues for more than 20 years. My most recent project is to bring the “Nordenskiöldsloppet”, the first, longest (220 kilometers/136 miles) and hardest (Cross Country) skiing race ever, to life again after more than 130 years. I love outdoor life, have many years of experience in long-distance running, cycling and cross-country skiing. Traveling the AT has been a dream project since reading Bill Bryson´s A Walk In The Woods 10 years ago. 2015 I hope to succeed making this dream come true.